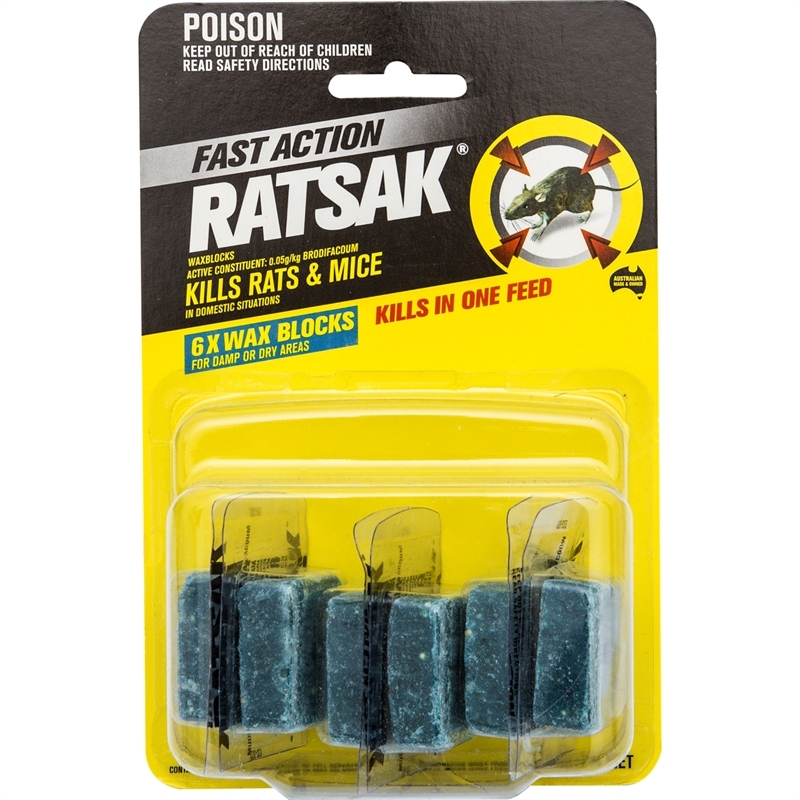 Ratsak Fast Action Rat and Mouse Blocks kills rats and mice with a single feed. Easy to use, they are mould and wet weather resistant, so they can be used in wet and dry areas. Single feed and fast acting formulation, controls species resistant to Warfarin. Place baits where they are inaccessible to children, animals or birds. Do not allow the bait to enter drains, sewers, streams or ponds. Dispose of dead rodents safely. Do not use bait containers for any other purpose. Brodifacoum is a long lasting anti-coagulant which will kill rats and mice 4 – 7 days after consumption.